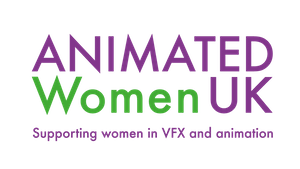 Animated Women UK Supporting women in VFX & Animation. We want women from all backgrounds of the industry and at every stage in their career to fulfill their potential and realise their dreams. We value openness, honesty and a positive approach towards collaborating with women and men to achieve our mission. We want to support a network of women who can help each other achieve success at every stage of the animation or VFX pipeline. This change will be visible when we see results such as: better female characters on screen, an increase in women-led start-ups and an increase in women winning awards in technical areas.